Pipe brush is generally used in the hydraulic valve internal control deburring, cylinder liner piston internal control polishing, steel drum cleaning, tube cleaning, boiler dirt removal, metal parts internal hole deburring, etc.. Groove edge deburring, cross-hole deburring, air conditioning refrigerator (compressor) deburring, cylinder deburring, engine parts, mechanical processing, hole processing, brake grain processing; It is also suitable for the polishing of some round, cone and venturi holes. The spherical brush can be used for surface treatment of cylinders, valves, cavities and pipes of various shapes and sizes easily and quickly. Polishing brush can automatically centering, automatic calibration of the hole surface for fine consistent processing, does not affect the original accuracy and scale of the workpiece, easy to use, economic, significant effect. 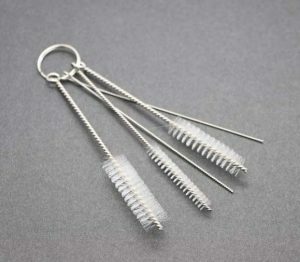 3, pipe brush is to clean or brush the inside of the pipe, and brush the outside of the pipe brush. It is to use commonly common bristle brush, conduit is special arc roller is brushed, solved this problem. Due to large area of arc contact surface. Painting and brushing on the surface of pipelines of 10-100cm greatly improves the production schedule and work efficiency.